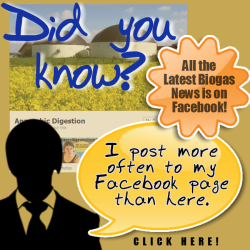 The question of function of biogas plant. Many people new to the industry would say that the true function of a Biogas Plant is surely simply to make biogas… Full stop! end of discussion. And yet, this would be at odds with the long list of other AD Plant benefits invariably listed by real farmers who have their own on-farm anaerobic digestion facilities. 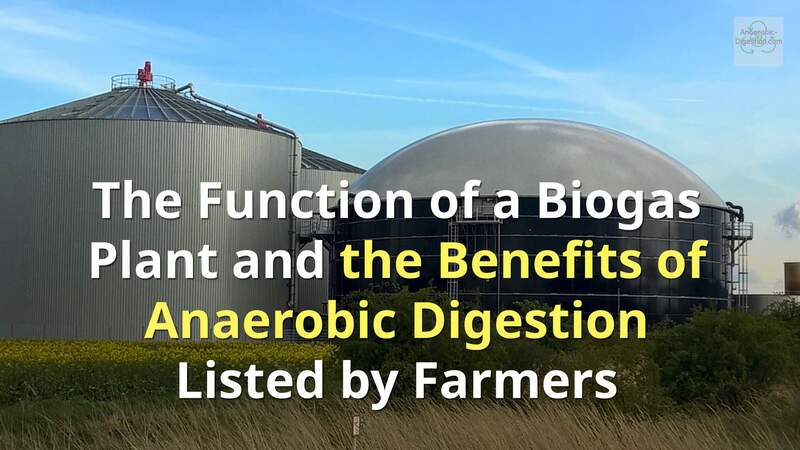 We have found that farmers appreciate the benefits of on-farm biogas production, but their experience of their own anaerobic digestion plants reveals many other benefits. 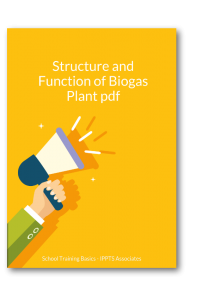 Click the image above to download your “Structure and Function of Biogas Plant pdf” pdf file. It is with that in mind that we were fascinated to read the Royal Agricultural Society of England report authored by Angela Bywater, titled: “A Review of Anaerobic Digestion Plants on UK Farms – Barriers, Benefits and Case Studies”, which is available on their website as a pdf download. This article, and the embedded video, were written by us to highlight just one small part of this report which talks about the real-life experiences of real farmers, while using their biogas plants. Structure ande Function of Biogas Plants. • environmentally friendly farm diversification. 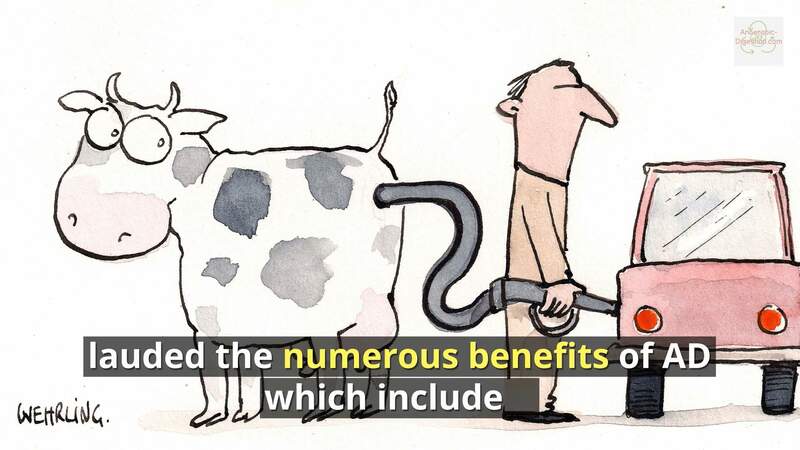 Source: The above excerpt is from: “A Review of Anaerobic Digestion Plants on UK Farms – Barriers, Benefits and Case Studies”; Supporting Sustainable Agriculture, By Angela Bywater, Royal Agricultural Society of England – Executive Summary. When government subsidies such as the FiT (Feed-in Tariff) Scheme for England were first introduced there was great disappointment that small farm AD plants were at the last minute apparently omitted when the lowest band of subsidy eligibility was set just above the rate of power generation small farms could achieve. It is not known why such a great opportunity to assist small farm businesses had been passed over. It was done without much comment, and even less warning by Defra, and only really apparent when the regulation’s small-print was issued. It truly was a wasted opportunity. Is it too much to hope that the resurrected FiT and RHI schemes promised will be set to benefit small farmers? These would be seen as payments, NOT AS A SUBSIDY. But, money paid by the nation for the service the farmers with AD plants provide toward the sustainability of farming. In other words an investment in the future heath of farming. A way in which marginal farms can diversify, raise their income and improve the financial security of their businesses, meaning that they will not need assistance from the national purse in the form of welfare payments to low-earners (income supplements), and other benefits for the poor. Biogas typically refers to a mixture of different gases produced by the breakdown of organic matter in the absence of oxygen. Biogas can be produced from raw materials such as agricultural waste, manure, municipal waste, plant material, sewage, green waste or food waste. Biogas is a renewable energy source. Biogas can be produced by anaerobic digestion with anaerobic organisms, which digest material inside a closed system, or fermentation of biodegradable materials. 4. pH of the digester-: Neutral pH is an important parameter in anaerobic digestion, just as it is for aerobic composting. If pH is measured at the inlet, it will be slightly lower than neutral — usually around 5.5 — as fresh material is converted into acids. The pH will neutralise as these acids are converted into methane gas. By the time the liquid bio-fertilizer comes out the digester, it should be 7. If the pH of the bio-fertiliser is lower than this, it is an indicator the digester has been over-fed and is at risk to “sour,” or stop working due to low pH. If the pH at the inlet goes below 5.5, it is necessary to add some wood ashes or lime to buffer the digester. A function of biogas plant operation is to prevent soured digester has no bubble activity and instead of producing gas, instead it draws air into it. The top will be sucked in tightly against the surface of the liquid and if a brewer’s airlock is being used, the water in the airlock will be sucked into the digester. Restarting a soured digester is time consuming, severely compromising the function of biogas plant effected, and in most cases it is simpler to dump it out and start over. These above factors are controlled by digester loading. I enjoyed the cartoon. Give us more jokes, but keep it clean. good site. hi could you please give me a rough picture of the cost of setting up of a plant and what would be the out put of it ?